Generally, video resolution and bit rate are the main causes for video file size. 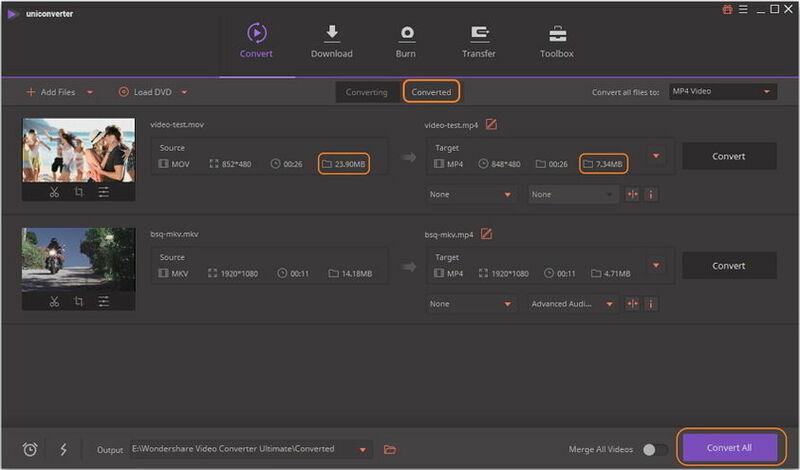 If you want to convert video formats with file size compressed, just change some small settings before conversion when you're using Wondershare Video Converter, and your videos will be compressed and converted easily. There are 2 ways to customize compression settings before conversion, follow the steps below to achieve it. Also, if you want to compress the video size directly without format change, there is an easier way to reduce video size. 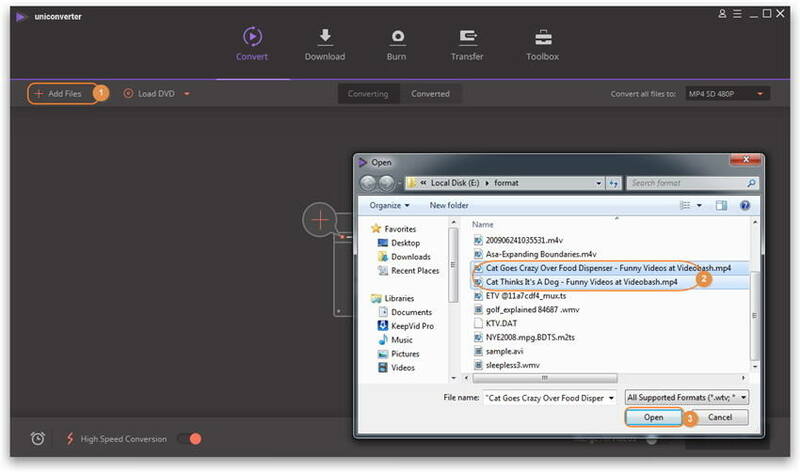 Launch Wondershare UniConverter (originally Wondershare Video Converter Ultimate) to get the primary interface, then click the + Add Files button to add the video files you want to compress to the program. 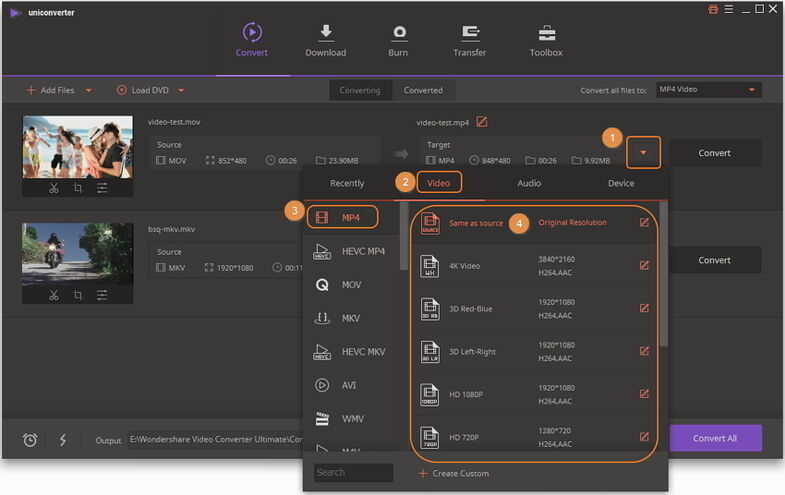 Learn More About Adding Media Files >>. Select an output format for your videos by clicking the drop-down button on the Target bar. Click the Video tab and then choose a video output format and resolution. Next, under the Target bar, click the icon to compress video size one by one. A new setting window will be opened, you're allowed to set File size, Resolution, Quality, and Bit Rate here. Click the Preview button to check the compressed effect for 20 seconds. Finally, click the OK button to confirm the video compression settings. Progress bar: Moving the bar directly to reset the video size. File Size, Quality, and Bit Rate will be changed accordingly. File Size: You're allowed to change the file size by input a number or clicking the button. Resolution: Click the button to select a video resolution from the drop-down list. Quality: It would remind you the video quality as Low Quality, Medium Quality, and High Quality according to your compressed video size. Bit Rate: Shows the bit rate of the video according to your video size. Click the drop-down icon beside the Convert all files to: option and choose the Video tab to select the corresponding format, i.e. MP4, then choose the video resolution in the right and click the editing icon to get a sperate Setting window. Click the + Create Custom button on the bottom, you'd get the Setting window as well. Switch the default Custom tab to Small Size, you'll notice the program reduces Bitrate automatically. 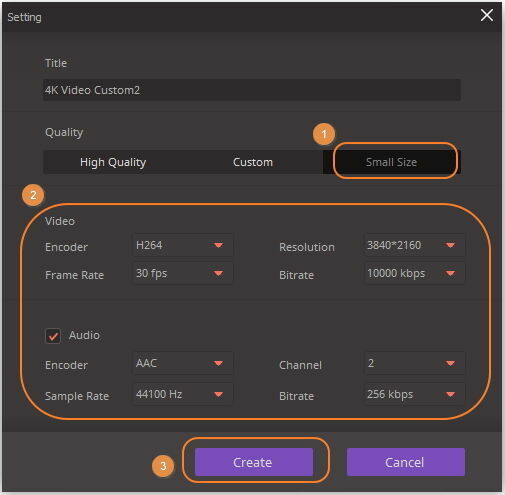 You can also manually change the Bitrate, Resolution, Frame Rate, and other settings to make the video smaller. After above settings, click the Create button to proceed. Now you can preview the file size in the program's main interface. 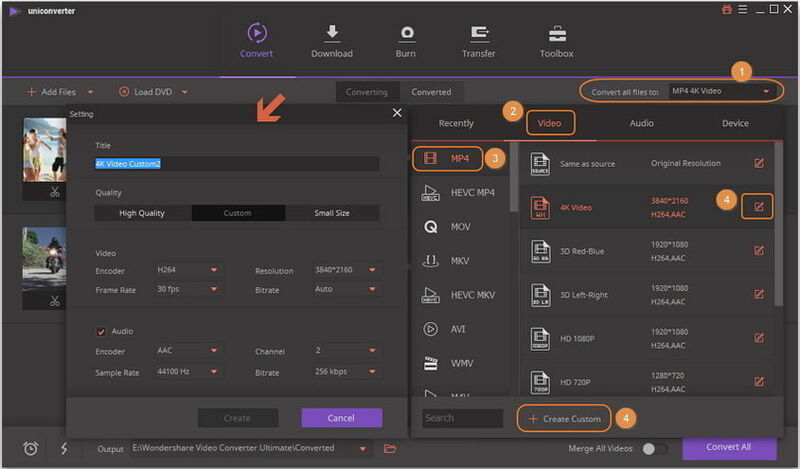 Click the Convert All button to start compressing video file immediately. After the compression completed, you can go to the Converted tab to manage the compressed video as you wish.